We all know that a restful night’s sleep allows us to function at our best. Did you also know that interrupted sleep patterns caused by sleep apnea/snoring not only cause daytime fatigue but may lead to other serious health issues such as increased risks of a heart attack or developing high blood pressure? If you have had complaints about your snoring or if you have mild to moderate sleep apnea, talk to Dr. Tom. Dr. Tom has specialized training in fitting a mouthguard-like appliance that adjusts your jaw position to open your airway. An improved airflow means more efficient breathing and can reduce the volume and frequency of snoring. 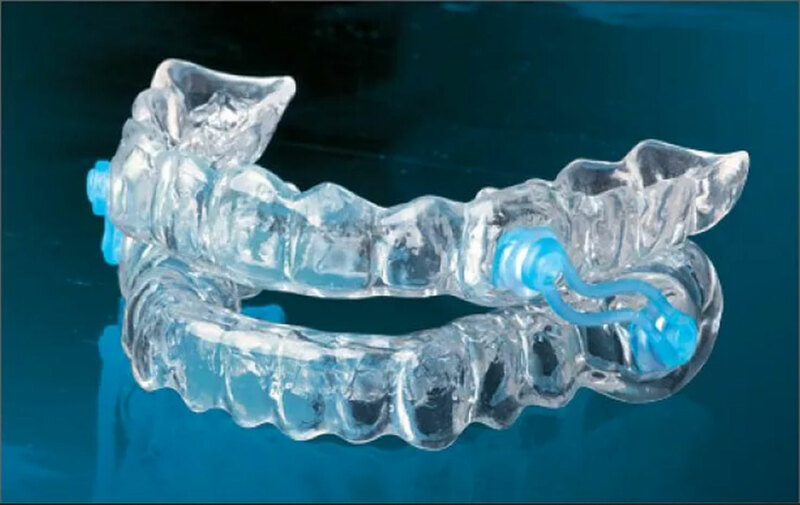 This appliance is recommended by the American Academy of Sleep Medicine for mild to moderate sleep apnea and is much less cumbersome than a CPAP machine. It is also much easier to clean!